The Kimo TM210 series is a transmitter with or without display. 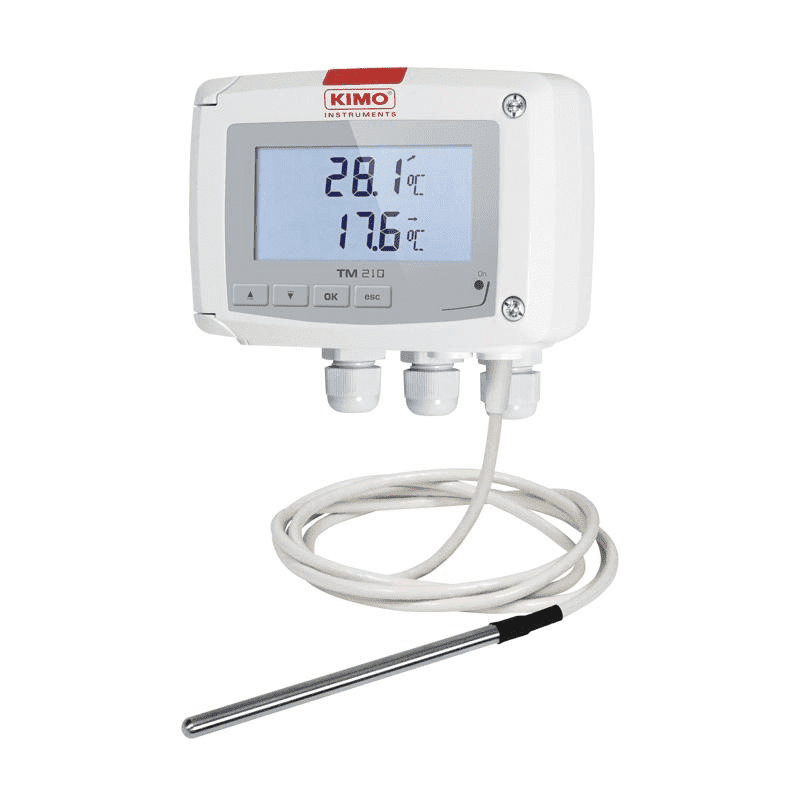 The TM210 is ideal for use as a temperature measurement in rooms and air ducts for connection to a building management system. This temperature transmitter has an internal sensor and a PT100 input, or two PT100 inputs for measuring temperature differences. The Kimo LCC-S configuration software makes it very easy to program and configure Kimo class 110, 210 en 310 transmitters.